Karim Harji is a co-founder and partner at Purpose Capital, which helps investors to design and implement impact investment strategies across a range of sectors, asset classes, and regions. He was recently involved in the strategic assessment of the Rockefeller Foundation’s Impact Investing Initiative, and co-authored Accelerating Impact: Achievements, Challenges and What's Next in Building the Impact Investing Industry. He also co-founded Venture Deli, which helps to grow and capitalize companies that matter to the world. 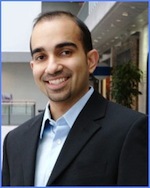 Karim teaches social entrepreneurship at the Faculty of Applied Engineering at the University of Toronto, and is a Senior Research Associate at the Carleton Centre for Community Innovation at Carleton University. He previously worked at Social Capital Partners, and co-founded SocialFinance.ca. He serves on the Boards of the Social Investment Organization, the Small Change Fund, and CanadaHelps, and holds a Masters degree in Public Administration from Carleton University. With a passion for the concept of mainstreaming development, Alan brought on the first Devex member, then Deloitte Emerging Markets (now Cardno) to the enterprise twelve years ago. A member of the team that founded Devex, he continues to serve the health, growth and wellbeing of our Membership of more than 1,000 donor agencies, companies and NGOs around the world. In addition to serving as the business development lead, Alan works closely with members to ensure Devex effectively aids in their own international development missions. Whether through engaging with new partners, implementing new approaches, or communicating best practices, he enjoys helping organizations find new and improved ways to impact development. Alan has also served as Deputy Director of the Executive Council on Diplomacy, a non-profit organization designed to foster understanding between the US government and civil society, and the foreign diplomatic community in Washington. 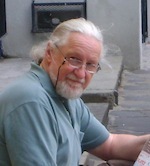 John Sinclair studied economics at Cambridge University, leading to a career as an international development practitioner, working for UK DFID, CIDA and the World Bank. As a member of the McLeod Group, he is now a thinker/policy advocate on development issues. He is a Distinguished Associate of the North-South Institute and teaches from time-to-time at Ottawa U’s School of International Development. He has been a consultant to the World Bank, AsDB, IFAD, Ford Foundation and UNICEF. His geographic focus is Africa and Asia, including living in Sri Lanka, Egypt and Indonesia. He writes and blogs on development issues. His current professional interests are global architecture, development effectiveness, post-Busan, evaluation, country and donor performance, fragile states, governance/corruption, Post-2015 agenda, institutional effectiveness, inclusiveness and decentralisation. 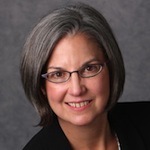 Since 1984, Dawn Ringrose MBA, FCMC has consulted to management across sectors that positively contribute to organizational performance. Dawn has been recognized by her peers with several awards and appointments including: Quality & Excellence Builder Award (Quality Council of Alberta), External Team Member (Premiers Award of Excellence), and Advisory Board (Caribbean Centre for Organizational Excellence). Her professional credentials include: Assessor of Quality Systems, Registered ISO 9000 Specialist, Certified Excellence Professional, and Registered Organizational Excellence Specialist. Recently, Dawn authored the Organizational Excellence Framework, a publication that ‘consolidates’ the principles and best management practices of leading quality management system frameworks and provides ‘implementation guidelines’ for the practitioner. She has presented on the publication attracting great interest at the Canadian Quality Congress, the Management Consulting Symposium (Jamaica), and the World Business Capability Congress (New Zealand). Dawn has noted demand in developing countries as excellence frameworks are related to organizational performance and thereby contribute to the economy, trade, and quality of life. Moses N. Kiggundu is Professor of Management and International Business at the Sprott School of Business, Carleton University, Ottawa, Ontario, Canada. His research focuses on the challenges and opportunities of managing globalization and creating conditions for the development of a competitive economy and open society in developing countries and emerging economies. He is interested in the study of conceptual and practical questions of building state and non-state capacities in open societies for the facilitation of effective and gainful participation in the global economy. For over thirty years, he has worked with multinational companies, United Nations and international organizations, Canadian and foreign governments on a range of issues. 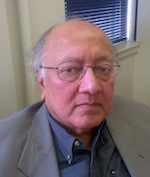 He has published over fifty conference papers, journal publications, book chapters and several books, including Managing Organizations in Developing Countries: An Operational and Strategic Approach (Kumerian Press, 1989) and Managing Globalization in Developing Countries and Transition Economies (Greenwood 2002). 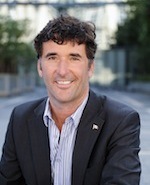 Paul Dewar is the Member of Parliament for Ottawa Centre in the Canadian House of Commons. 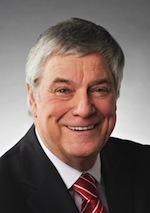 First elected to the Canadian parliament in 2006, and subsequently re-elected in 2008 and in 2011, he is the New Democratic Party’s Foreign Affairs Critic and a member of the Canadian Parliamentary Committee on Foreign Affairs. He is the former Chair of the All-Party Parliamentary Group for the Prevention of Genocide and other Crimes Against Humanity. During his time in office, Paul has been a strong advocate of the environment, development and peace building, the fight against poverty, as well as the arts. 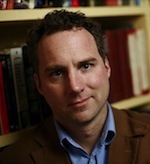 Christoph Zürcher is a professor at the Graduate School of Public and International Affairs at the University of Ottawa. He received his PhD. from the University of Bern, Switzerland. His research and teaching interests include development and conflict, state-building and intervention, and state fragility. His regional focus is on Russia, the Caucasus, and Central Asia including Afghanistan. He has been consulting for, among others, the German Ministry of Foreign Affairs, the German Ministry of Economic Cooperation and Development, the Swiss Ministry of Foreign Affairs, The World Bank, TACIS, World Vision, Gesellschaft für internationale Zusammenarbeit GIZ, and the International Helsinki Federation, mainly on issues relating to development and conflict in fragile states. 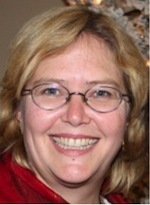 Elizabeth McAllister has served in leadership positions in the international development community for over 25 years. From 1997 to 2005, she held a number of senior assignments at the World Bank including Director of the Operations Evaluation Department (OED), Director of External Affairs and United Nations Relations and Special Advisor to the Vice Presidency for East Asia and Pacific. Prior to joining the World Bank, Ms. McAllister held executive positions in the Canadian International Development Agency (CIDA). From 1985 to 1988, she was Counselor for Development in Jakarta, Indonesia. Currently, Ms McAllister enjoys an active practice in international development focuses on organizational strategy, results based management, evaluation management and gender analysis. Bernard Wood has over 40 years experience as an evaluation specialist, senior multilateral manager, think tank director in development and security policy, and parliamentary advisor. In the 1980s, he was a pioneer in taking evaluations of official programs of development assistance to the critical country level and in deepening assessments of civil society assistance. In the past three years, he led the international core team for one the largest ever development evaluations - the Evaluation of the Paris Declaration. From 1993-99 he served as the Director of Development Cooperation and head of the DAC secretariat at the OECD in Paris. Earlier he was Deputy Director of the Parliamentary Centre, then founding CEO of The North-South Institute and CEO of the Canadian Institute for International Peace and Security. 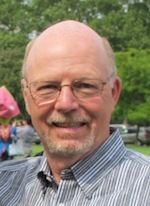 Paul is the Executive Director of CANADEM, he has been working in the international community for over 30 years. Much of his time has been focused on international human rights in countries such as Rwanda, Kosovo, Croatia, South Africa, Zimbabwe, Indonesia and Afghanistan. He has been staff with the Canadian Government, the UN, the Commonwealth, and NGOs such as Amnesty International, and has also worked as a consultant for the OSCE, EU and NATO. A former Canadian Army officer, Paul has worked with various militaries including NATO on human rights and civil-military interaction. Paul's last diplomatic posts were as the Representative of the UN Human Rights Commissioner for Human Rights in Indonesia, and four years as the Commonwealth Secretariat's Head of Human Rights in London. Randy is the Director of Duty of Care at CANADEM. He has been working in the fields of international development, conflict management and capacity building for more than 40 years. He has worked in education and rural development in Asia, multi-sector program management in Africa and in conflict areas including Kosovo, Bosnia and Afghanistan. He has designed and delivered training programs for hundreds of groups including military, police, diplomats, universities, businesses and NGOs in Canada and around the world. Having experienced many of the challenges that come with international work in higher stress international environments himself, Randy supports CANADEM in ensuring that it and other agencies fulfill their Duty of Care to personnel sent abroad. Harley came to international development from 12 years experience in private agricultural development in Newfoundland, learning the benefits and risks of being a target beneficiary of government economic development schemes. He’d also learned subsistence agriculture, which took him to Rwanda for four years as a coopérant-volontaire agricultural advisor. For nearly twenty-five years as a freelance consultant, Harley has worked to align ID with the interests of its beneficiaries, across an array of sectors, at all scales of programming and budgets, at all points of the management cycle. Harley’s experience of countries in conflict extends from Sri Lanka (Governance Program monitor, 2001-2010), Afghanistan (Country Program monitor - Ongoing Program Review, 2005-2010), and Pakistan (Strategic Review of the Dubai Process, 2010-2011). 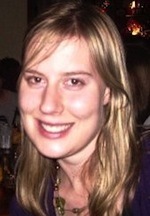 Cassandra is a member of the Deployment Team and coordinator of CANADEM’s International Field Experience Program. She holds a Bachelor’s Degree in Political Science and Peace and Conflict Studies (PACS) from the University of Waterloo and is currently completing her Master’s Degree in Public and International Affairs at the University of Ottawa. She has gained experience in the field of conflict studies and human rights through various internships in Southeast Asia, China, Israel and Palestine, and more recently at the Canadian Embassy in Bangkok. As CANADEM’s International Field Experience Program Coordinator, Cassandra helps others realize their career goals through gaining international experience and working towards CANADEM’s vision of creating the next generation of field-tested experts for international service. 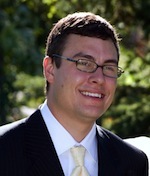 Ted Freeman is a senior associate with the Ottawa based evaluation consulting firm, Goss Gilroy Inc. 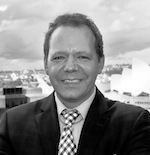 He is a former managing partner and headed their international development evaluation practice for over 15 years. He has over 30 years experience in the evaluation of international development programs, projects and institutions in Africa, Asia and Latin America and has worked for a wide range of bilateral (CIDA, Danida, DFID, SIDA, the Netherlands) and multilateral clients (World Bank, UNEG, UNICEF, UNDP, WFP). Most recently he has focused his work on the assessing the Development Effectiveness of multilateral organizations through meta-synthesis of evaluation material. He has also been active in the use of theories of change and contribution analysis to test the results of evaluations and reported development results. 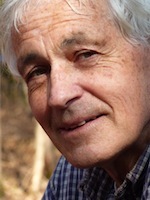 Ian Smillie has been an international development practitioner, consultant, teacher and writer for many years. 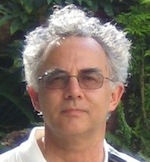 He is the author of several books, including Freedom From Want (2008) and Blood on the Stone: Greed, Corruption and War in the Global Diamond Trade (2010). He served on a UN Security Council Expert Panel examining the relationship between diamonds and weapons in West Africa, and he helped develop the 70-government ‘Kimberley Process,’ a global certification system to halt the traffic in conflict diamonds. He chairs the Board of the Diamond Development Initiative and he Co-chairs the Advisory Panel of the Office of Canada’s Extractive Sector CSR Counsellor. He received the Order of Canada in 2003. With a degree in Political Science and an MBA in International Management, Mr. Marcotte joined the public service in 1994 as a Management Trainee. Under the auspices of this program, he had numerous assignments, first to revenue Canada – Customs and then with the Department of Foreign Affairs and International Trade. He was appointed Director of Marketing of the Trade Commissioner Service in 2001 before being assigned to Caracas as Senior Trade Commissioner in 2004. On his return to Ottawa, he served as Director of Commercial Relations, Europe for two years and was subsequently promoted to Director General, Locally Engaged Staff. Since September 2011, he has been serving as Deputy Chief Trade Commissioner. Dave is a Team Leader, CIDA's Private Sector and Trade Division. Previously, Dave worked at Aboriginal Affairs and Northern Development Canada on First Nations infrastructure programs. Before joining Government, he was the research director of the Centre for the Study of Democracy at Queen’s University, and previously held positions in both the public and private sectors. Dave has published articles on governance, democracy, and civic engagement, and has presented on these matters before a number of Parliamentary Committees and international conferences. George has over 20 years of experience as a tax professional with the Canada Revenue Agency. He has been with the program since June 1990 and has extensive experience in GST/HST Rulings Outreach as a GST/HST Senior Technical Interpretation Analyst. He has many years experience dealing with small business in the fields of taxes and lending. Recently, he has been focused on delivering presentations and training on the implementation of the HST in Ontario and the new GST/HST Place of Supply rules. Deborah has over 16 years of proven experience in international development program planning, management and evaluation with UNICEF, CIDA, the World Food Program, and CARE Canada. She has been directly involved in UN reform and aid effectiveness initiatives since 1997, including the development of UN Development Assistance Frameworks, joint programming documents for UN Theme Groups and Spanish-MDG Fund, Delivering as One strategies and coordination of technical working groups. She also has extensive facilitation and training expertise in human rights-based approaches, organizational assessments, results-based management and development evaluation. Her sectoral expertise includes child rights, HIV/AIDS, food aid, good governance, gender, and emergency/humanitarian response. She currently works as a Senior Consultant for Universalia. 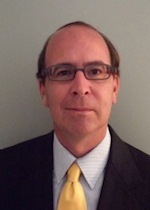 Mr. Harvey joined Goldcorp in February, 2013 as Director of Government Relations. Prior to Goldcorp, he was President of the Canadian Council for the Americas. He has nearly 20 years of experience in government and in law. As a diplomat, he was Head of the Political Section of Canada’s embassies in Brasilia, Bogota and Caracas. He also worked in Colombia as a Political Advisor for the Organization of American States (Mission to Support the Peace Process in Colombia) and the United Nations (Department of Political Affairs and UN Development Program). Michael served at the Permanent Mission to the UN in New York as part of Canada’s Security Council team (1999 to 2000). In Ottawa, he worked on OAS Affairs at the Department of Foreign Affairs and International Trade and was seconded to the Privy Council Office (Foreign and Defence Policy Secretariat). 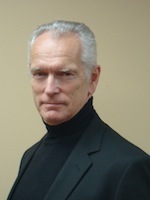 Bradley is Professor of Evaluation at the Faculty of Education, and Director of the Centre for Research on Educational and Community Services (CRECS), University of Ottawa. Cousins’ main interests in program evaluation include participatory and collaborative approaches, use, and capacity building. 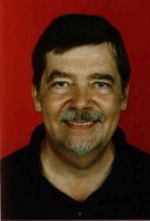 He received his Ph.D. in educational measurement and evaluation from the University of Toronto in 1988. 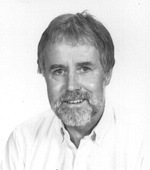 Throughout his career he has received several awards for his work in evaluation including the ‘Contribution to Evaluation in Canada’ award (CES, 1999) and the Karl Boudreau award for leadership in evaluation (CES-NCC, 2007) and the Paul F. Lazarsfeld award for theory in evaluation (AEA, 2008). He has published many articles and books on evaluation and was Editor of the Canadian Journal of Program Evaluation from 2002 to 2010. Kate leads the Governance for Equitable Growth program at The North-South Institute. Her research interests include the intersection between growth, poverty and inequality, women’s economic empowerment and global development frameworks. 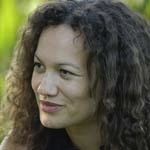 Previously, she was a Research Fellow with the Growth, Poverty and Inequality program at the Overseas Development Institute in London and worked at the Australian Agency for International Development (AusAID). She has worked with the United Nations, World Bank, OECD and a number of bilateral development agencies. 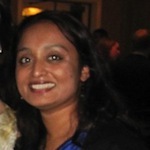 She has extensive field experience in various regions. She holds an M Phil in Development Studies from the University of Oxford and a Bachelor of Economics (Social Sciences) from the University of Sydney. Janice is a Program Officer with Aga Khan Foundation Canada, currently managing a food security project in northern Mozambique, an economic livelihoods program in Cairo, Egypt and serving as AKFC’s Environmental Focal Point. She was also a 2010-2011 AKFC International Microfinance and Microenterprise Fellow based in northern Mozambique. Janice graduated with a Masters of Science in Population and Development from the London School of Economics and Political Science and an Honours Business Administration degree from the Richard Ivey School of Business at the University of Western Ontario. Prior to a career in international development, she worked in the private sector in such industries as consumer packaged goods, financial services and publishing. David is President and CEO of Cowater International Inc., President of Cowater Alaska Inc., Board Member for CRC Sogema, Board Member for CRC Sogema Technologies Inc., and Board Member for Canadian Council on Africa. With Cowater, Mr. Baron is the leader of the senior management team and has overall responsibility for the strategic direction of the company and its operating groups, as well as leading strategic alliance and partnership opportunities globally. He provides oversight to business development with particular attention to emerging business and areas of growth. Prior to joining Cowater Mr. Baron was with Export Development Canada where he gained experience in project management and leadership. Tim holds a trio of degrees from three continents: Africa, Europe & North America. After teaching for three decades at Dalhousie University, for the last decade he has directed postgraduate progammes at the Institutes of Commonwealth Studies in London & International Relations in Trinidad. He is now visiting professor at the University of Massachusetts in Boston, Adjunct Professor at Carleton University & Distinguished Research Associate at the North-South Institute in Ottawa. Tim's latest coedited titles include: Africa & International Relations in the 21st Century, Rethinking Development Policies for Public Policy, The Ashgate Research Companion to Regionalisms & The Diplomacies of Small States. Janice is currently the Director of Field Contracting Management within Chief Financial Office Branch of CIDA (since Dec 2010). Previously, she was working in the Geographic Programs Branch, for the Ghana program, where she worked in the field for 3 years as the Deputy Director of Field Operations, along with the role as the sector team lead for the Food Security team (2006-09). Upon joining CIDA in 2003 and up to departing to work in the field, she worked as a member of the Africa Sector Wide Approach Team, within a multi-disciplinary team comprising, financial, strategic programming and contract expertise to support programming with public procurement analysis and contributing to developing the risk framework for the new program based approaches within the Geographic Program Branch. 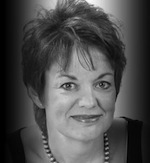 Ms. Chagnon is a highly experienced international development expert with over 25 years of experience in 55 countries. Currently she manages several multi-million dollar projects on three continents in a broad range of sectors including governance, social service delivery, peacebuilding, institutional capacity building, gender equality and health. Her previous overseas experience includes management of large multidisciplinary projects aimed at strengthening public sector institutions and non-governmental organizations. In this capacity, she has promoted successful partnerships between local government authorities and civil society and their interface for improved social services delivery at the local level, including through social accountability. 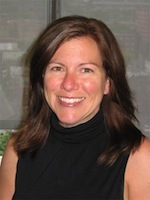 Ms. Chagnon has developed customized results-based management tools that have been adopted by major funding agencies. 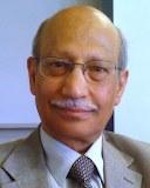 Ranjan retired from the Department of Foreign Affairs and International Trade (DFAIT) where he worked as a Foreign Service Officer and Trade Commissioner (1982-2012). and joined in 2012 Policy Research International - an Ottawa based company engaged in the activities of research, strategy, policy and program design, evaluation and implementation of projects related to international development. While at DFAIT, Ranjan conducted negotiations with investors, international partners on economic cooperation and overall international commercial relations, focused on enterprise development, government private sector policy development and public policy evaluation on trade. As a trade commissioner, he worked continuously to create international market opportunities for more than 100 diverse Canadian companies. 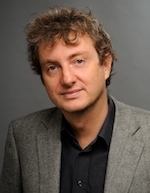 Carlo is a Senior Fellow in the School of International Development and Global Studies at the University of Ottawa focusing on the role of private sector actors – diasporas and private companies – in international development. He was Executive Director of the Canadian Foundation for the Americas, (FOCAL) managing programs in diasporas/Transnationalism, CSR and Canadian engagement in Haiti. Mr. Dade managed development and public-private partnership portfolios in Haiti and the Dominican Republic for the Inter-American Foundation an independent U.S. government aid agency. He was a founding member of the Enterprise Research Institute, a Washington D.C.-based private sector development and CSR think tank. Mr. Dade started his career in the Latin American and Caribbean Region Technical Department of the World Bank. 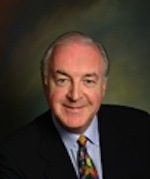 Mr. Hendricks is President and CEO of Hendricks & Associates, launched his consulting firm in early 1998. Before establishing his firm, he had been employed as Director, International Development for the Canadian Co-operative Association, and has worked for the Credit Union Deposit Guarantee Corporation and the City of Edmonton. He has successfully completed contracts with private firms, ADB, AusAID, CIDA, DFID, FSDT Tanzania, FinMark Trust, UNDP, USAID, WB and NGOs in Asia, Africa, Americas and Canada. Mr. Hendricks has visited/ worked in 44 countries. Mr. Hendricks has written an article titled “So You Want to be an International Development Consultant” which is available on the CIDAP website. 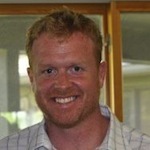 Michael is Director (Market Development) at the Canadian Co-operative Association (CCA). Since 2010, he has helped grow CCA’s work internationally by building relationships and pursuing business opportunities with governments, foundations, international financial institutions, private companies, and NGOs around the world. Previously, Michael led a team of 20 people at a Canadian government institution that promoted democracy and human rights globally. He’s also managed development programs in Eastern Europe and for three years, advised a Canadian cabinet minister. Ms. Carrière joined the public service in 2000. She was employed by the Department of Public Works and Government Services Canada where she held various procurement related positions. Guylaine moved to CIDA in 2003. She was responsible for all contracting activities within Asia Branch for less than one year and then held a senior policy advisor position as well as a manager position in the Contracting Policy Unit. In the spring of 2012, Guylaine became the Director of Policy and Planning Division / Contracting Management Policy. 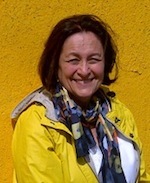 Julia is currently the Manager of IPDET (International Program for Development Evaluation Training), an executive education program co-created by the Independent Evaluation Group of the World Bank and the Faculty of Public Affairs at Carleton University. With an MSc in Social Policy from the London School of Economics, Ms. Thompson has first worked on land and agrarian reform in South Africa and Zimbabwe. Subsequently Ms. Thompson was CEO of Common Purpose South Africa for five years, bringing together leaders from across the sectors for education and social change. She lectured at CIDA City Campus, South Africa’s first free business university and served on several not for profit boards. For a further five years Julia had a consultancy out of Johannesburg in organizational and leadership development doing process work, capacity building and coaching. Ms. Thompson returned to Canada to work in CIDA’s Partnership with Canadian’s Branch in 2010 and made the move to IPDET in January 2012. 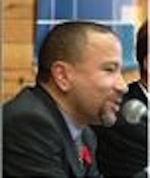 Lucien Bradet is President and CEO of the Canadian Council on Africa (CCAfrica). The primary mission of CCAfrica, is to promote institutional relations between Canada and Africa to further Africa’s economic development. Appointed to CCAfrica in early 2004, Lucien Bradet joined this association with an extensive experience in Africa. As an undergraduate, he attended the Université nationale du Rwanda. 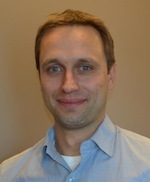 After graduating from the University of Ottawa, he joined the Department of Foreign Affairs, and subsequently held management positions at Information Canada, the Department of Regional Economic Expansion, and Industry Canada. In the last 9 years, he has led more than 20 missions to more than 20 African countries, helped organize a number of major conferences in Canada on the economic development and assisted many countries in dialoguing with Canadians. Scott Gilmore is a diplomat, aid worker, and social entrepreneur, who has spent the past 15 years working on post-conflict rehabilitation and international development. He is the founder of Building Markets, a social enterprise that reduces poverty and creates jobs in developing countries by championing local entrepreneurs and connecting them to new business opportunities. Previously, Scott was a Canadian diplomat, with postings to Indonesia and East Timor. 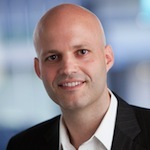 Scott was named one of Canada’s Top 40 Under 40, and one of 25 “Transformational Canadians” in 2010. In 2011, the Globe & Mail designated Scott a “Leading Thinker” on aid in the 21st century, and the World Economic Forum honored him as a Young Global Leader. Virginia works as the Quality Assurance and Accreditation Officer at the Sprott School of Business. For the past 10 years, she has taught Cross-cultural Communication in an online environment for the Bachelor of International Business program. In addition, Virginia serves on the Board of Project TEMBO, a small grassroots Canadian charitable organization supporting women and girls in Northern Tanzania. Her field experience includes the development of informal educational initiatives to support girl education, adult literacy and community libraries. 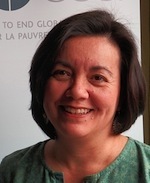 Ann is Manager, Humanitarian Programs at Oxfam Canada. 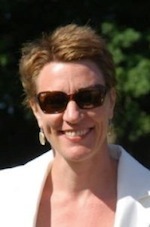 Prior to joining Oxfam Canada in 2012, Ann was Deputy Regional Director (Southern Africa) of Oxfam GB, based in Pretoria, and OGB Country Director in Zambia.Ann holds a BSc from the University of Guelph and an MA from the School for International Training in Vermont. She subsequently pursued her interest in food security issues in Africa through a diverse mix of posts, agencies and countries including assignments in Kenya and Sudan for FAO, WFP and ACF, as well as regional food security posts for both OGB and Save the Children. Ann’s current role with Oxfam Canada includes a specific mandate to strengthen Oxfam’s efforts to ensure that women are at the heart of all its humanitarian programming. Dr. Sahi is Adjunct Professor of Economics at Carleton University, with research interests in economic development, energy, climate regulations and environmental sustainability in developing countries. He is a key member of the Canada-India Centre of Educational Excellence in Science, Technology, Policy and Trade of the University. 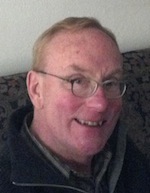 He teaches graduate courses in sustainable energy and environmental economics. 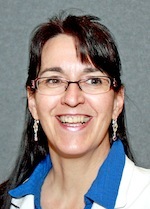 Julia is President-CEO of the Canadian Council of International Co-operation (CCIC) since August 2011. She has extensive experience in top‐level international development management, including many years working in developing countries and with Canadian and international partners and donors. Julia has designed and managed programs in areas such as humanitarian assistance, reconstruction, governance, democratic development, community-based economic development, international volunteering and, more recently, campaigning on climate change. She performed in a wide range of diverse postings in Canada and abroad during her 14 year career with the Centre d'étude et de coopération internationale (CECI) and has also worked with Oxfam-India, the Global Campaign for Climate Action (GCCA), UNHCR and USAID. 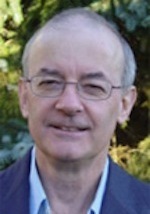 Richard Beattie is a former director at the Canadian International Development Agency (CIDA) who retired from the Canadian Government in 2002. During his career, Richard occupied a number of positions in CIDA headquarters and was also Head of Aid in Ghana 1995-8. He is now working as an independent consultant providing services to a variety of agencies and institutions, in capacity-building, institutional and policy development, governance, management and youth policy and programs. From 2004 to 2008, he worked as an adviser to several Central European ‘emerging donors’, helping them to put in place the structures, policies, program management arrangements and processes they need in order to manage their ODA programs. He has served as Chair of the Board of CAIDP since November 2008 and has served as a member or Chair of several NGO boards. 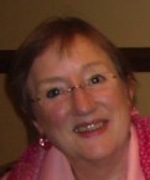 Diana Rivington recently retired from CIDA as the Director, Human Development and Gender Equality. During her 2003 to 2007 posting to the Permanent Mission of Canada to the United Nations, Diana sat on the Advisory Committee of UNIFEM and on the governing Bureau of UNICEF and was a key player in Canada’s successful involvement in the global effort that created UN Women. Diana has made significant contributions to international fora focused on women’s empowerment, including as Chair of the OECD Working Party on Gender Equality from 1998-2000. Diana served on the Canadian delegations to the International Conference on Population and Development in Cairo in 1994 and to the Fourth World Conference on Women in Beijing in 1995. Active internationally for more than 29 years, Mr. Lusignan has considerable experience in the design, implementation and management of development assistance adn commercial projects abroad. As Director, Grants Contributions and Contracting Management, Mark brings significant first had knowledge of CIDA operations and programs at the executive, operational and field levels. He previously held the positions of Director, Business Operations and Director, Contacting Policy within the Agency. Dan has extensive experience in leading organizational alignment strategies and continuous improvement strategies that enable people to achieve higher capacity to deliver business goals. He has served as President & CEO in the public and not-for-profit sectors and senior executive roles in the private sector. He is currently working in the Human Resource Department at Carleton University. Richard has over 29 years of experience in institutional strengthening and on issues related to economic, social and human development and the management of information and knowledge in countries around the world. Since 1992, he has undertaken missions to 58 countries to advise governments and other development actors on the use of the internet and of information and communication technologies (ICTs) and to present, discuss and negotiate projects to build capacity to use these tools. Erin has close to 20 years of experience helping Candadian organizations and their partners obtain funding for international development programming. Her unique experience bridges private and not-for-profit organizations and spans the full business development cycle. She has produced proposals in a wide range of sectors for projects in dozens of countries, and has undertaken field missions in nine countries in Asia, Africa and Latin America. Hunter is an international development policy consultant, and Senior Fellow at the School of International Development and Global Studies at the University of Ottawa. His consulting practice focuses on good bilateral donor practice, aid effectiveness, and humanitarian assistance. 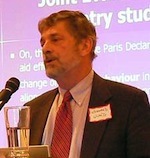 He spent 30 years at the Canadian International Development Agency, and worked at the OECD for five years as Head of peer review and evaluation operations for the Development assistance Commitee (DAC). 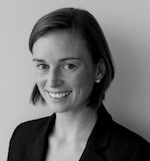 Ms. Caroline Leclerc holds a law degree and joined the Canadian federal government in 1995. She has held positions of increasing complexity, namely in the Treasury Board Secretariat, before joining the Canadian International Development Agency (CIDA) in 2005. She currently occupies the position of Director General, Strategic Planning, Performance and Evaluation.